It is time to talk about the many Indian Genomes, and the great genetic diversity of Indians, 28 years after the Human Genome Project was launched. 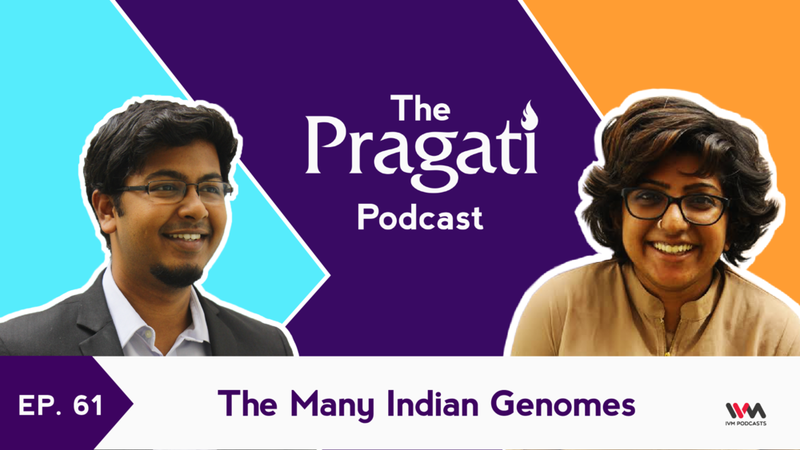 Dr Kumarasamy Thangaraj joins Pavan Srinath and guest host Dr Shambhavi Naik on Episode 61 of the Pragati Podcast to talk about all things India, genes, history and health challenges. Dr Thangaraj is a renowned scientist working at the Centre for Cellular and Molecular Biology, CCMB, Hyderabad. He has published extensively on the origin of humans, on genetics and disease and how they affect the lives of Indians. If you have any questions or comments on the episode, write in to podcast@thinkpragati.com. You can also ask the hosts anything on twitter at twitter.com/zeusisdead and twitter.com/HamsiniH.